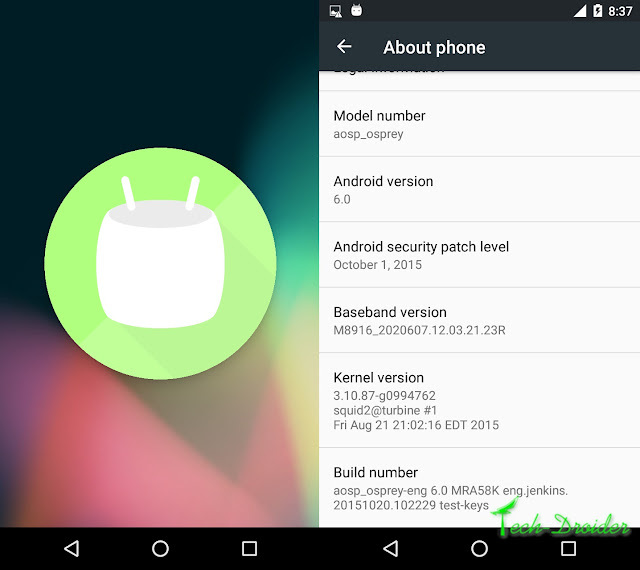 Now you can unofficially update Moto G 3rd Generation ( osprey ) to Android 6.0 Marshmallow ( AOSP ) . Thanks to scritch007 ( XDA developer ) For making 6.0 Marshmallow for Moto G 3rd Generation . This Rom has some bugs so it is not suitable for daily use , so however you can flash this custom rom on Moto G 3rd Generation for testing Android 6.0 Marshmallow . Bugs - No SDcard , No Wifi , No Data , Build is eng build so you'll have the red blink zone. You must be have rooted Moto G 3rd Generation . Oh thanks a lot bro !